A recent report (M Gambato et al. Gastroenterol 2016; 151: 633-6) provides some insight into the importance of the presence of residual hepatitis C virus (HCV) RNA in the liver of patients undergoing liver transplantation. The authors note that many patients with cirrhosis due to HCV do not complete a full course of antiviral therapy before liver transplantation as the waiting time is unpredictable. The authors studied whether there was HCV RNA in the liver of 39 of these patients and tried to assess whether its presence was associated with relapse after liver transplantation. Only 6 patients (15%) had completed treatment prior to liver transplantation. Most patients (68%) had undetectable serum HCV RNA. HCV RNA was detected in 26 of 39 liver explants (67%). Higher levels were detected in those who had received a shorter course of treatment at time of liver transplantation. Interestingly, HCV RNA was also detected in 2 (20%) of controls who had an SVR after completing an interferon-free treatment regimen. 33 of 39 (85%) achieved a post-transplantation virologic response (pTVR) and 6 (15%) had recurrent HCV infection. Thus, the persistence of HCV RNA in liver explant did not preclude pTVR. Among the 26 patients with residual HCV RNA in the liver explant, a HCV RNA concentration was higher in the 4 patients that relapsed (23 vs 3 median copies/mcg total RNA). Another unexpected finding was that among the 6 who relapsed, two had undetectable HCV RNA in liver explant –both patients carried mutations which could have rendered treatment less effective. The authors note that HCV RNA could have been present at concentrations below detection or distributed unevenly (which could have affected testing). The authors speculate that the presence of HCV RNA may have been sequestered in membranous webs which allowed the virus to avoid degradation/host defenses. My take (borrowed from the authors): The presence of HCV RNA in the liver explant does not seem to be associated with treatment failure/virologic relapse after liver transplantation, except in case with high concentrations. 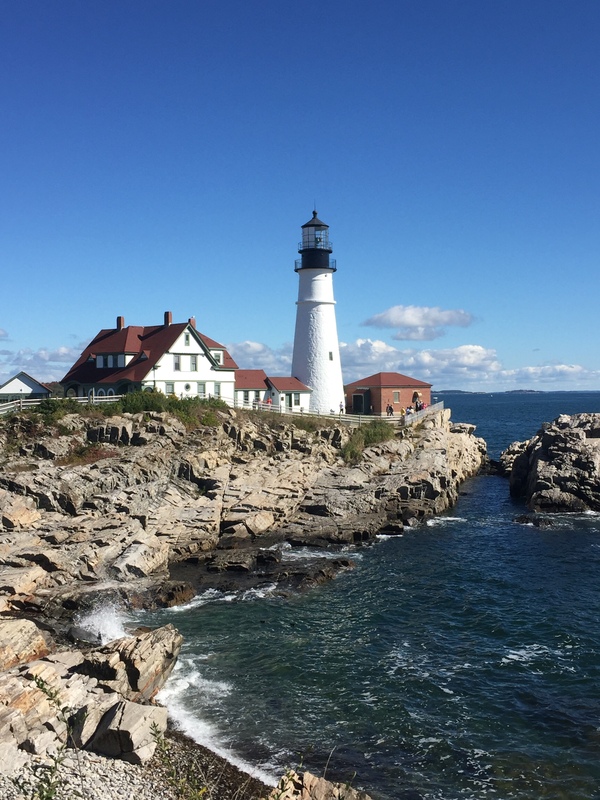 This entry was posted in Hepatology and tagged hepatitis C infection, liver transplantation, Portland Head Light, viral persistence by gutsandgrowth. Bookmark the permalink.